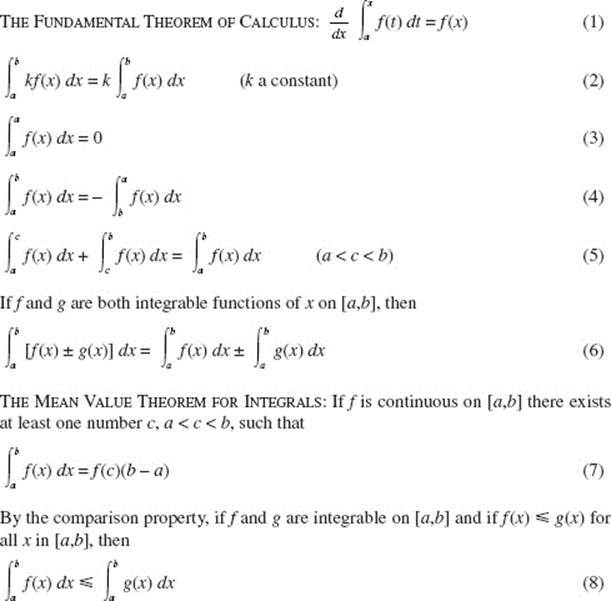 The following theorems about definite integrals are important. 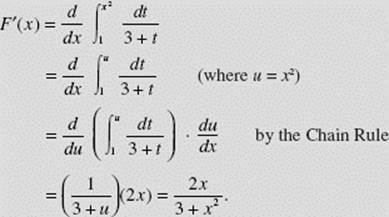 The evaluation of a definite integral is illustrated in the following examples. A calculator will be helpful for some numerical calculations. The limit on the right in the starred equation is, by definition, the derivative of F(x), that is, f (x). Note that the expanded limit is, by definition, the derivative of g(x) at c.